Summer sunset at Eagle’s Wings in Klawock, Alaska. John Muir, the famous naturalist, once said: you should never go to Alaska as a young man because you’ll never be satisfied with any other place as long as you live. This was certainly true for me in the 1970s when, at 19-years-old, I moved from Marin County to a small fishing village in south central Alaska, trading my pursuit of a bachelor’s degree in forestry for a more hands-on education in the untamed wilderness. 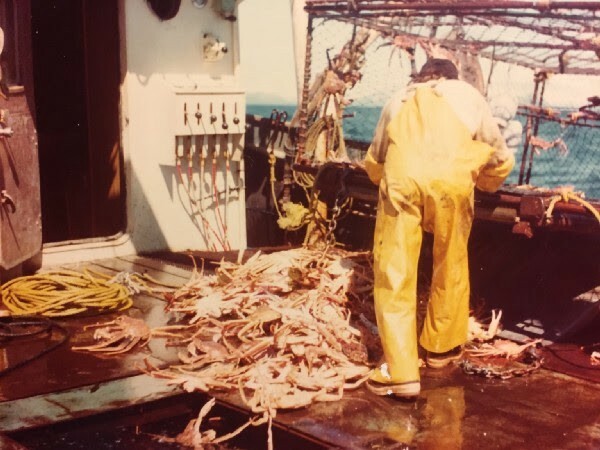 For the next 10 years, I worked as a king crab fisherman, working seasonally in the Cook Inlet region, and spending the off-season rebuilding an old homesteaders log cabin, hiking wildflower-strewn mountains, and falling in love with the verdant, pure beauty I’ve only seen there, in what’s been rightfully dubbed The Last Frontier. That was 40 years ago. While I eventually ended up back in Northern California, started a family, and pursued a more conventional (less life-threatening) profession, not a year has gone by when I haven’t made the trip back to Alaska, to reconnect with something that feels so essentially human to me: being immersed in nature. 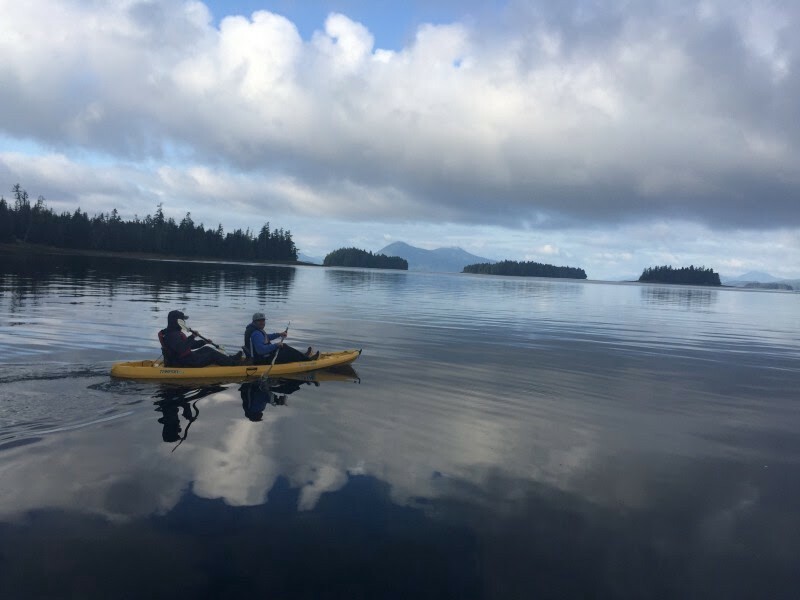 Nowadays, my wife and I spend all summer on a remote island in Southeast Alaska — not on vacation or enjoying a kick-back retirement — but quite the opposite: managing Eagle’s Wing’s Wilderness Lodge. We bought the property in 2013 with the sole purpose of introducing more people to the awe-inspiring beauty of Alaska, to help them step away from the frantic pace of modern life, and get re-acquainted with nature in its purest form. Our cell phone reception is spotty, the wifi is temperamental, and you can’t get off the island without a boat (or a very thick wetsuit) — and that’s exactly the point. When I tell people about our seasonal profession, I’m usually met with an enthusastic response along the lines of “How amazing! I’ve always wanted to visit Alaska!”People are intrigued by the ruggedness, a truly natural habitat that’s been well-insulated from the spread of urbanisation. 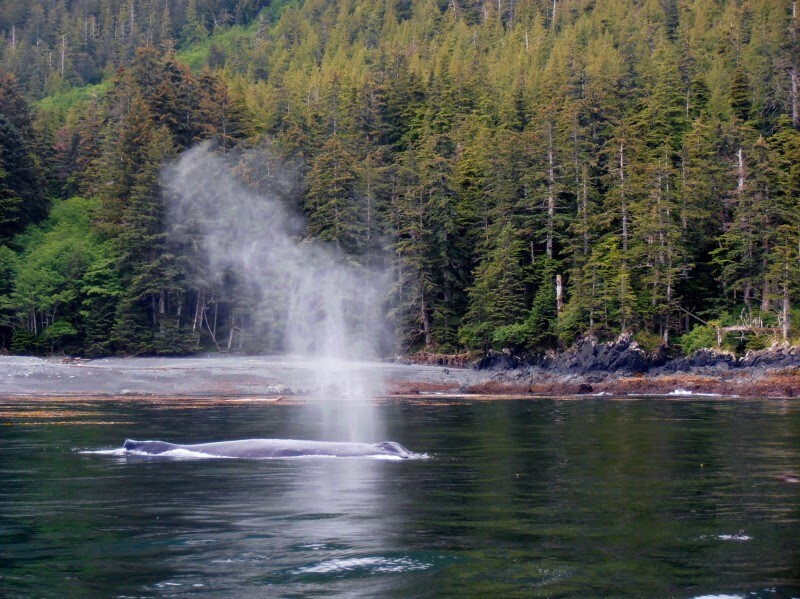 It’s no secret that Alaska is unlike anywhere else on earth. A “must-see destination” in tourist speak. And for that reason, we host visitors from literally all walks of life, who share one thing in common: a burning desire to see Alaska in all it’s natural glory. For many people, after visiting Alaska for the first time, they’re struck by what “real” nature, a truly untouched expanse of land, looks and feels like. The silence, the purity of the air, the waterways that serve as highways, the nonexistent boundary between human life and wildlife. Alaska still boasts more uninhabited space by far than any other state in the union, and you can see this vividly in the green & blue patchwork as you’re flying over. It truly is the last frontier, where you can go and feel part of a more primal ecosystem. Here, humans aren’t guaranteed a place at the top of the food chain. Daily tasks are quite literally dictated by the changing tides. Nature rules. All summer long, we have the pleasure of seeing people fall in love with Alaska, of settling into a slower pace, the pace of nature. We watch families reconnect over long coversations by the bonfire, we see friends marveling at how magenta-pink a sunset can be, we see couples enjoying dinner that they just fished out of the sea that afternoon. Simple pleasures become profound moments. I may be biased, but I think everyone should experience Alaska. Or at the very least: take a walk in the woods, climb a mountain, catch a fish, leave your phone at home. Let nature do what it’s always done: wash our spirits clean. 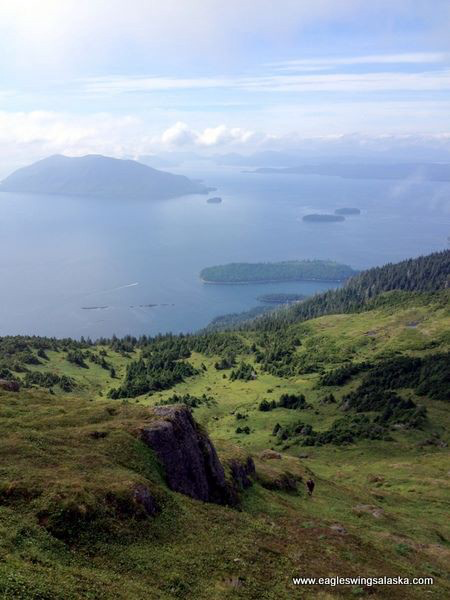 Captain Mark Farrar is co-owner of Eagle’s Wings Wilderness Lodge in Southeast Alaska.